For parents and teachers, mealtime is not always the most enjoyable time of the day. Whether it be a child not wanting to eat what you serve, not wanting to leave an activity to come to the table, or just not knowing what to cook, mealtime can be seen as a stressful time. I have seen some incredible early childhood programs use mealtime not only to provide healthy, balanced meals, but also to provide an opportunity for supporting social skills and self help skills. I have seen an increase in “Family Style Dining” in many of the programs I have worked with. Family style dining provides opportunities for children to practice patience, turn taking, and using manners. The children are able to pass the bowls of food and serve themselves. What better way to use those fine motor skills than by trying to balance the proper amount of spaghetti on your spoon and carefully moving it to your plate? Using utensils is a great way to work on those pre-writing skills through the use of those small muscles in the hand. The children are learning to be autonomous and independent. Allowing children to serve themselves may be messy at first, but it is worth it when the children become more coordinated and feel the sense of pride that comes with being trusted with these tasks. Family style dining allows for great conversation between the child and caregiver, and any chance to engage verbally with the children is fabulous. Many programs are also looking into healthier meal planning, and I have seen children really learning to love healthy foods. This can also be a great parent engagement piece, educating families on health and nutrition. It is becoming rare to hear of families eating together at the table, and as child care providers we can lead by example and show the benefits of taking the time to enjoy meals together as a family. There are wonderful programs for parents and teachers, such as My Plate, USDA Team Nutrition, and Let’s Move! Child Care. You can also download the free Family Style Dining Guide to get started on building healthy habits around eating in your program today. Bon Appetit! This entry was posted in Family Child Care, Infants and Toddlers, Preschool and tagged child care center, healthy eating, healthy foods, healthy habits on October 20, 2016 by Kelly Ely. It is becoming less common to see a child playing a board game in this day of technology, where video games, iPads and phones with game apps are everywhere. What children seem to desire and need more than anything is time spent together with the adults in their lives. Why not grab a board game and show a child that you have an hour or two to focus on having fun while teaching many lifelong skills? Board games reinforce many social skills such as sharing, waiting, taking turns, self regulation, interacting with peers and winning and losing gracefully. Children benefit cognitively from board games as well, developing skills such as sorting, matching, classifying and problem solving. Executive function is vital to social emotional development and growth. Board games foster executive function skills such as flexible thinking, memory and self control. Children learn to predict the outcome of alternative moves. In a game as simple as Candyland, children are developing one-to-one correspondence while counting. Games such as Memory, Bingo, Checkers, and Dominoes get everyone involved in a hands-on activity as they are learning many important skills through play. As educators, we know that children learn more when they attempt to explain their reasoning. Take the opportunity while playing a game to ask children open-ended questions such as, “Why did you choose to make that move?” or, “How did you decide which way to go?” These questions will allow them to grow intellectually by explaining their thought process. 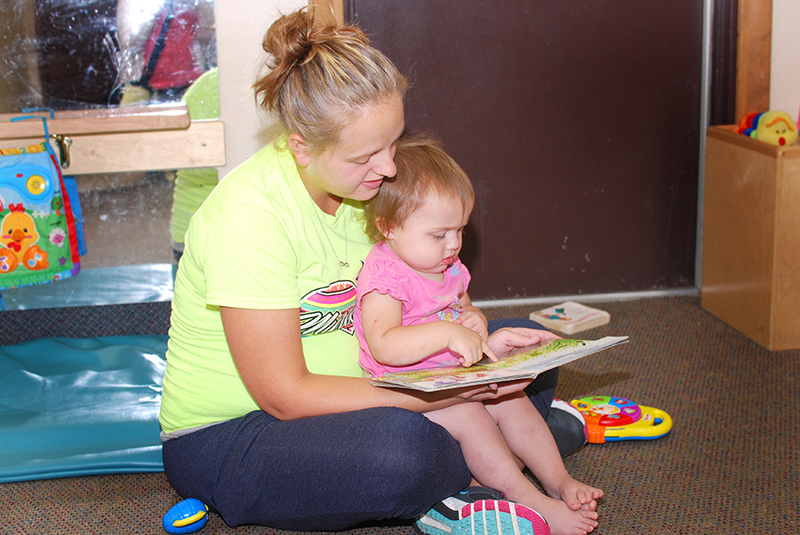 Preschoolers are capable of absorbing and memorizing facts much quicker than adults. Give them the chance to be successful and gain self confidence during a board game in the classroom. 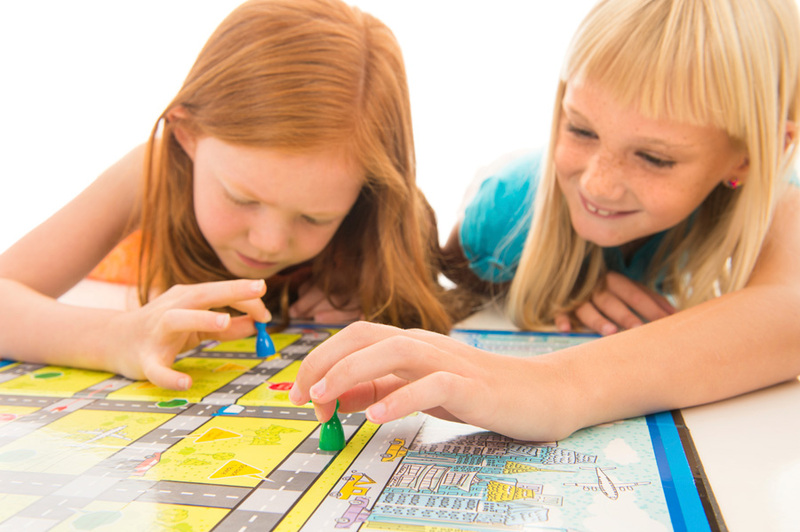 Encourage families to play board games at home by sharing the many benefits for children. As a bonus, board games can help grandma and grandpa as well! Games and puzzles, along with other thought-provoking activities, keeps memory function performing at a higher level. Your preschooler can help grandparents avoid the risk of memory loss! Share this resource on the top preschool board games with families in your program. As I reflect on my childhood, some of the most precious memories I have involve playing games with my dad. There was not a night that went by in my childhood when my dad wasn’t up for a game of Checkers, Connect Four, or a long competitive UNO championship. I can still remember my excitement when I used my last DRAW FOUR card just when my dad was just about to say UNO… Looking back, it was not just the game I enjoyed, but the undivided attention my dad gave me while taking the time to play with me. It was that joy of competition he instilled in me that makes me enjoy winning to this day. If this is still one of my favorite memories almost 40 years later, imagine what a gift we are giving to our children when we make time for them. No matter how you look at family game night, everyone wins! This entry was posted in Best Practice, Early Childhood, learning through play, Preschool and tagged family game night on April 28, 2016 by Kelly Ely. This time of year, we begin to hear the buzz of parents, teachers, and others discussing kindergarten readiness. “Is my child ready academically?” “Is my child ready socially?” Teachers work hard all year to prepare little ones so that they are ready for kindergarten. Parents depend on information from their child’s preschool teacher to assure them that their child is ready for the next step in their educational journey. Parents also seek opinions from family members, friends and fellow dance and soccer parents. 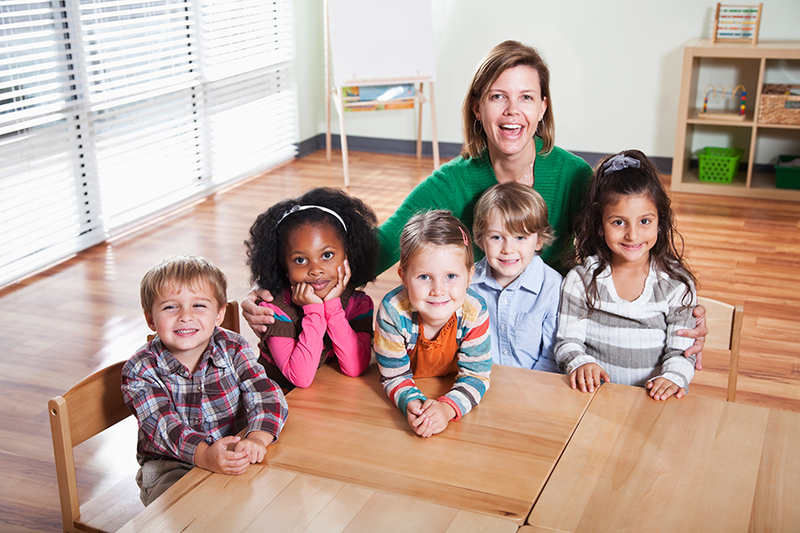 “Should I hold him back since he has a summer birthday?” “Should I send her even though she seems immature socially, yet ready academically?” What can you do to help educate the parents of children in your preschool program about kindergarten readiness? As early childhood professionals, we know that children will be screened for readiness in five critical areas known as Learning Domains and that there are developmental standards that a child will need to meet in each domain before they can begin kindergarten. Teachers in preschool programs work with children on these during the day, but do parents in your program feel equipped and understand the importance of also working with children at home? So much learning takes place when children are engaged in play. Encourage parents to find simple moments in each day to help children become “kindergarten ready.” You can share this list with parents of things they can do at home to promote school readiness. Keeping the lines of communication open with parents is key to successful school readiness. Sharing the results of screenings and assessments helps the parent understand where the child is developmentally, and what areas need to be improved. Keeping parents informed of the a child’s progress helps them reinforce what they are learning. There are many resources that you can share with parents. Five to Thrive is our local campaign to promote kindergarten readiness and registration information. Share the “Readiness Check-up Quiz” where parents can assess their child at home to see if they are developmentally on track. This entry was posted in learning through play, Parents, Preschool and tagged kindergarten, school readiness on March 7, 2016 by Kelly Ely.